Night and snow settling on LBJ’s Grocery, Worcester, VT. You can get garam masala and basmati rice here in addition to Bud Light and Hershey bars. It’s been a busy winter, and I haven’t posted much, but I have been posting more regularly on Instagram (@lazenbyphoto), so if you have Instagram, follow! Meanwhile, I’ll be catching up here. 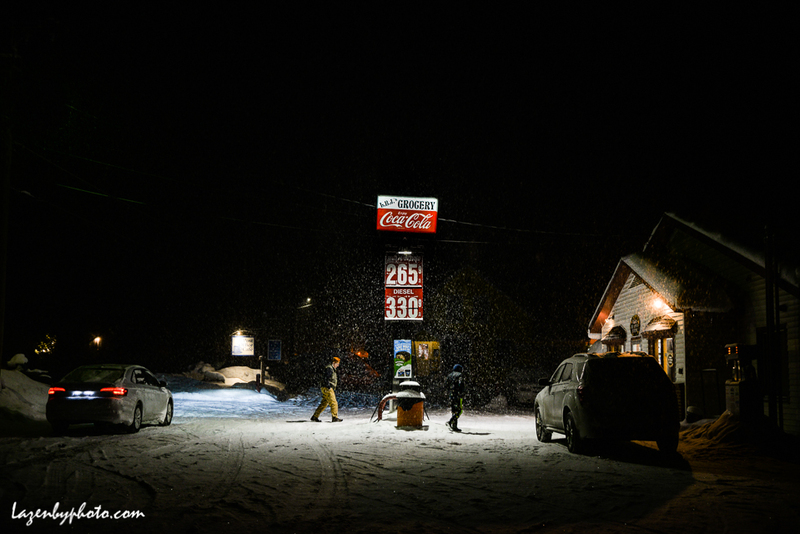 This entry was posted in gas stations, Snow, Vermont, Winter and tagged gas stations, Snow, Vermont, winter.